The critically acclaimed fantasy series makes its long prophesied return, taking its strategy/RPG formula to the next level, powered by a new proprietary 3D engine. 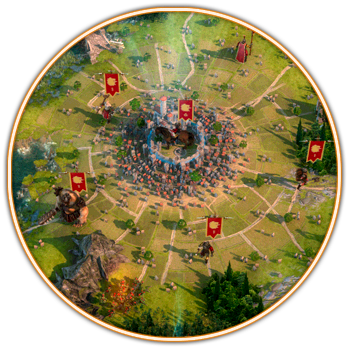 Age of Wonders 3® marks a modern reimagining of the series, where players join a clash of kings, queens and dark lords for the spoils of an ancient paradise. By introducing unique RPG-inspired classes and specializations, players are able to craft empires of their own design, developing unique strategies and play styles. The world-changing conflict plays out on sweeping landscapes, loaded with mythical locations waiting to be uncovered, conquered and exploited. In Age of Wonders 3, we extrapolate RPG style classes to be the leaders of fantasy empires. For example: as a Goblin Theocrat you can build your own holy empire, recruit little goblin crusaders or cute winged goblin angels equipped with flaming weapons, and wage war on your heathen enemies. We want players to be able to choose between lots of different play styles, without being restricted by fantasy clichés, like All Goblins Are Evil. 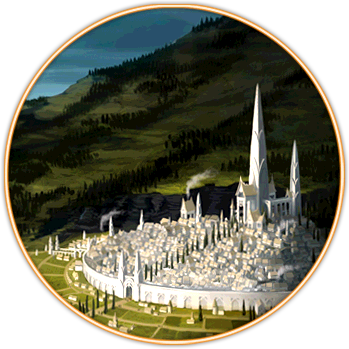 The new engine truly reflects the choices players have made by affecting how their realm and units are represented. It makes the gameplay on both the strategic and battle maps more immersive than ever, while retaining the gameplay and feel of the previous games. Age of Wonders 3® has not yet been rated and has an estimated late 2013 release date on PC. It will be published through digital distribution and brought to retail stores in selected territories. More information will be added as the game develops. Please note the game is still in development and certain features may be subject to change. The Triumph Studios TeamThe critically acclaimed fantasy series makes its long prophesied return, taking its strategy/RPG formula to the next level, powered by a new proprietary 3D engine.